Because of the low yield of seed from the OGKB mother, there are very few packs sold. The most recent harvest yielded 16 packs of seeds. When they are gone, it will be quite some time before more are released as the mother OGKB grows extremely slow and is very difficult to fully pollinate. The price reflects these factors. The OGKB is one of the most-coveted elite clones and renowned breeding plants. In this case, pollinated by the Greenpoint Stardawg male, the results are fantastic. Our legendary male transforms the OGKB into the superhero plant it wishes it could be. Copious resin production is retained while vigor, yield, and aroma are all dramatically improved on. The OGKB aroma is made more complex and intensified, adding nose-crinkling industrial chemical aromas. Bandit Breath is an epic combination of OG Kush Breath (OGKB) and Stardawg. 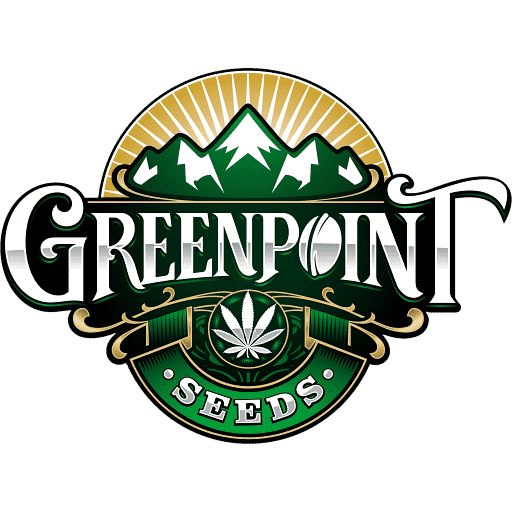 It is one of the most-coveted elite cannabis clones and renowned breeding plants. OGKB is named after the patriarch of the Cookie genetics family and is considered the first Girl Scout Cookies clone ever! While distinct in every way, the OGKB can be slow-growing, low-yielding, and has a reputation for mutations and abnormal vegetative growth. However, it breeds exceptionally well, dropping much of her undesirability in the Bandit Breath and taking on the more favorable genes of the pollen donor. 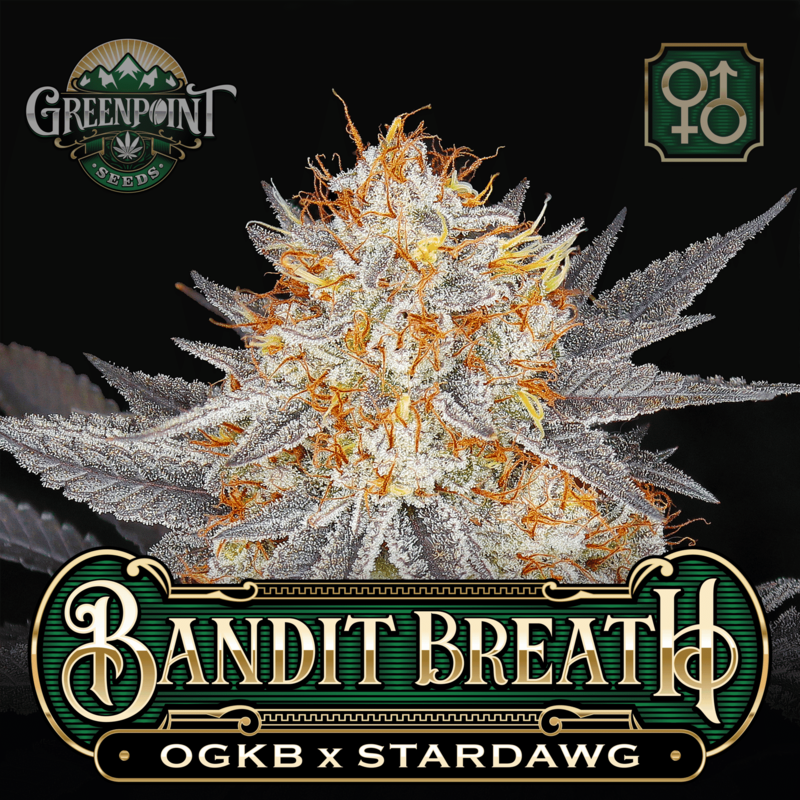 Notable descendants of the OGKB include Mendo Breath, Grateful Breath, Girl Scout Cookies (GSC) Cherry Pie, Sherbert, Gelato, and finally Bandit Breath. In the case of Bandit Breath, pollinated by the Greenpoint Star Dawg male, the growing results are fantastic. Our legendary male transforms the OGKB into the superhero plant it wishes it could be. In Bandit Breath, the insane trichome production is retained while vigor, yield, and aroma are all dramatically improved on. It aroma is made more complex and intensified, adding nose-crinkling industrial chemical aromas. 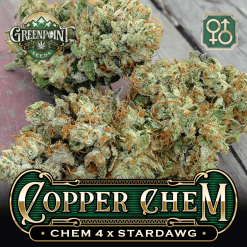 Pathetically-small yields of OG Kush Breath are made respectable from the Stardawg. 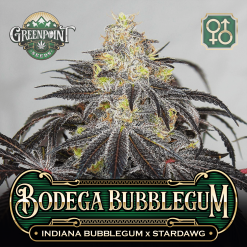 Compared to the original Stardawg, progeny will be more richly-colored, have higher resin production, increased floral density, and the aroma will be more varied. Some phenotypes will have better potency and a more intense effect as well. 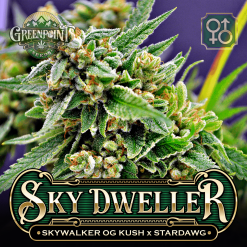 This is really a match made in heaven, and phenotypes that are superior in every way to the original OGKB clone are to be expected. Be prepared to discover the next new elite clone in these seeds! 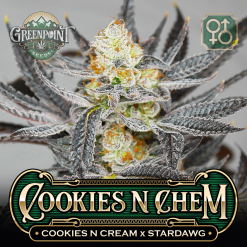 Want more Cookies strains? Try Eagle Scout! 100% germ on a half pack with one female. It showed good structure but the growth was a bit on the slow side. Probably due to the OGKB genetics. This wasnt super loud in bloom but at harvest and after cure the terps smelled of minty sour dough with a touch of chemmy funk. I’m going to run the cutting again and give them a much longer veg. There are definitely keepers to be had in this one. 46 out of 46 people found this helpful. Was this review helpful to you? This is the very next pack I’m popping that i have in my stash! Ogkb is my favorite strain after winning me over my lifetime go to which was Sour Diesel. I’ve seen some crazy pictures of a great amount of phenos from these beans and all I can say is FUEGO! this is one of the basic genetics for all the mendo breath, meat breath and all other breaths. growing this one out i can see why all the descendants are special. not a big producer but the smoke is outstanding! 15 out of 17 people found this helpful. Was this review helpful to you? There’s a grower in Michigan that has this strain and it’s absolute fire. So, I ordered a pack and most were immature or deformed. Only one seed cracked and it grew up to be a male. So because of how great this strain is I ordered another pack. Just waiting for them to arrive. Hoping to get a gem. Very impressed with this strain. Got 3 females out of 4 seeds. One didn’t make it. Had difficult time picking out the best one. All great taste and smell. Good yield on all 3. Medium stretch. Got rid of one because it was more heat sensitive. Still trying to decide on last 2. All 3 taste and smoke similar.